Cosmograph: a name that was to be the forerunner of great fortune. 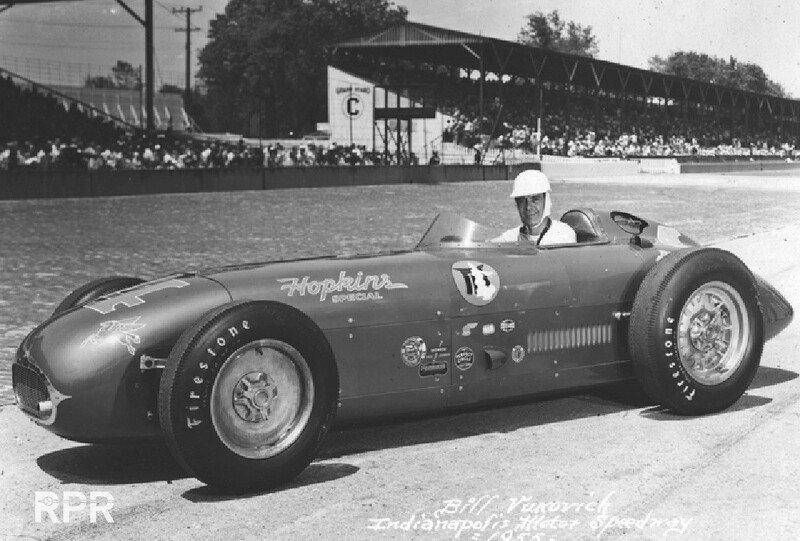 The birth of the legend can be traced back to 1963. Actually, the choice of the name proved to be neither easy nor expected. 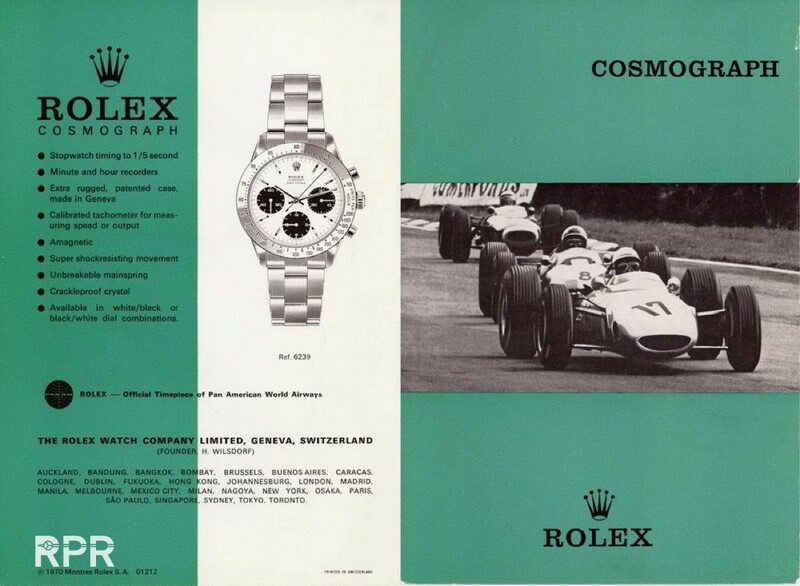 Whilst Rolex on the one hand flirted with the car-racing world, on the other hand it could not remain unaware of the vast media attention, which at that time was surrounding the conquest of outer space. REFERENCE 6239 1ST SERIES ‘NERO’ DIAL. 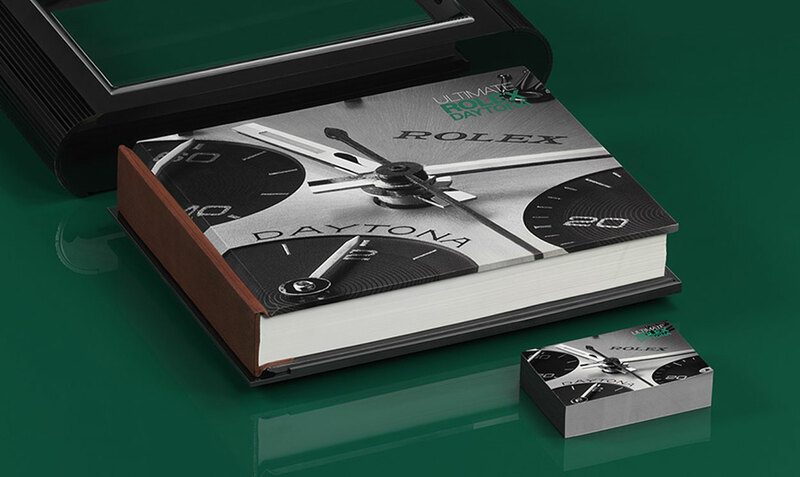 THE GRAPHIC LAYOUT IS EXPERIMENTAL, WITH ONLY THE COSMOGRAPH SCRIPT PLACED UNDER THE TRADITIONAL ROLEX DESIGNATION. 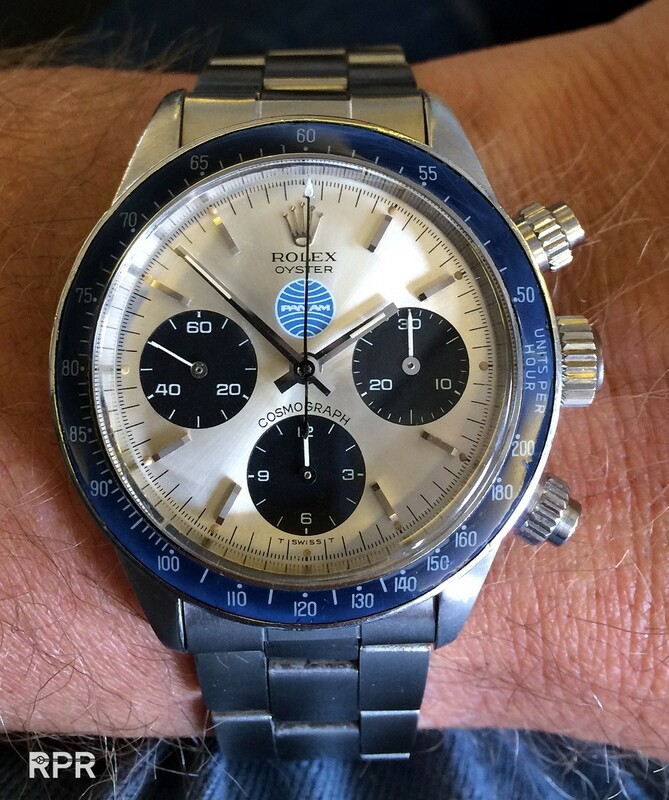 ONE OF THE VERY FIRST DAYTONA’S IS THIS TROPICAL 6239 1ST SERIE WITH TRANSITIONAL UNDERLINE WITH 922.9xx SERIAL NUMBER FROM 1963. 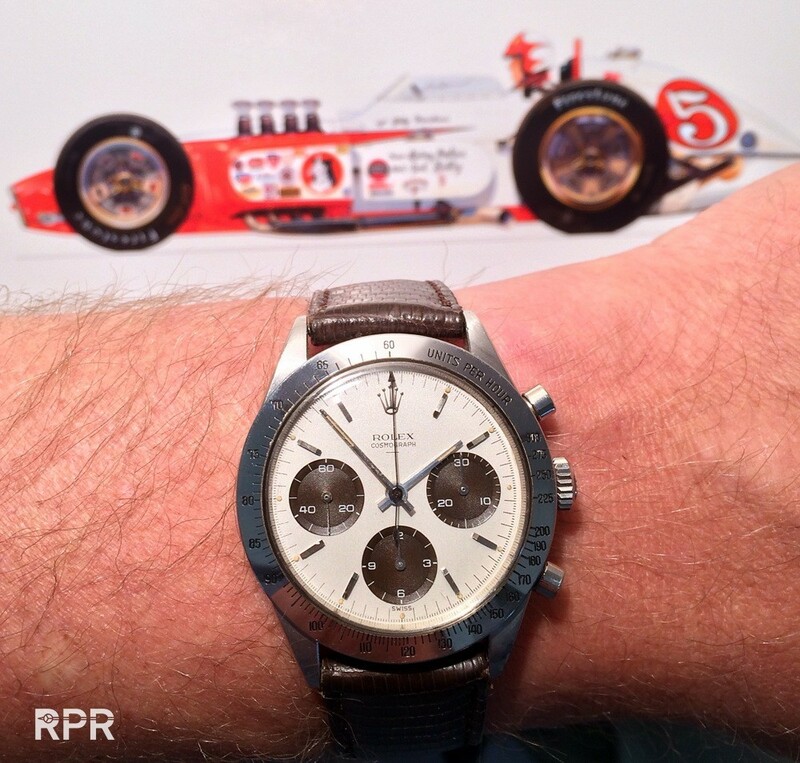 See the whole story about the “Hopkins Daytona” at my earlier RPReport over here.. The first reference to be introduced was the 6239. 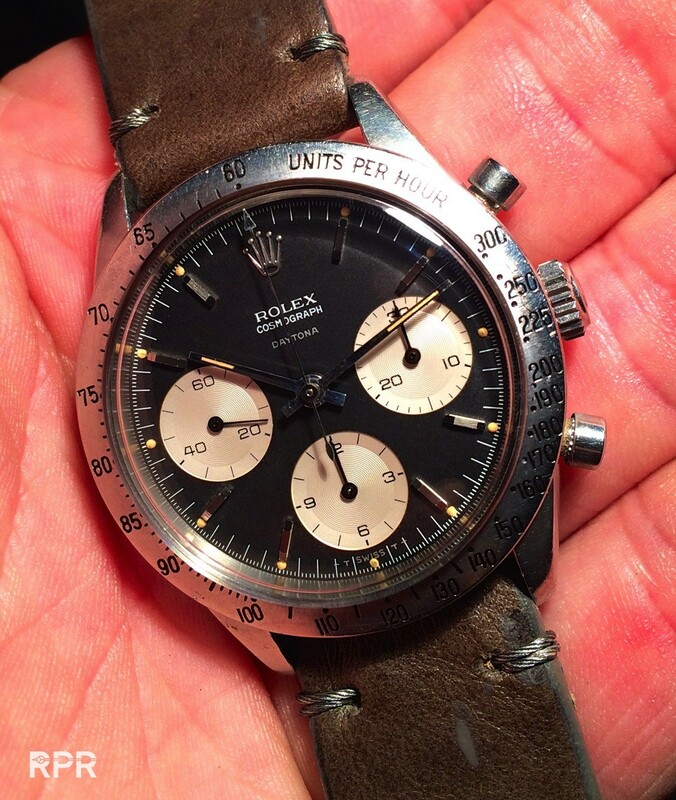 The printed peripheral tachymeter scale disappeared from the dial. In fact, this timepiece was sported a metal bezel which carried the engraved scale. Initially released in stainless steel, it would later be flanked by a gold version. 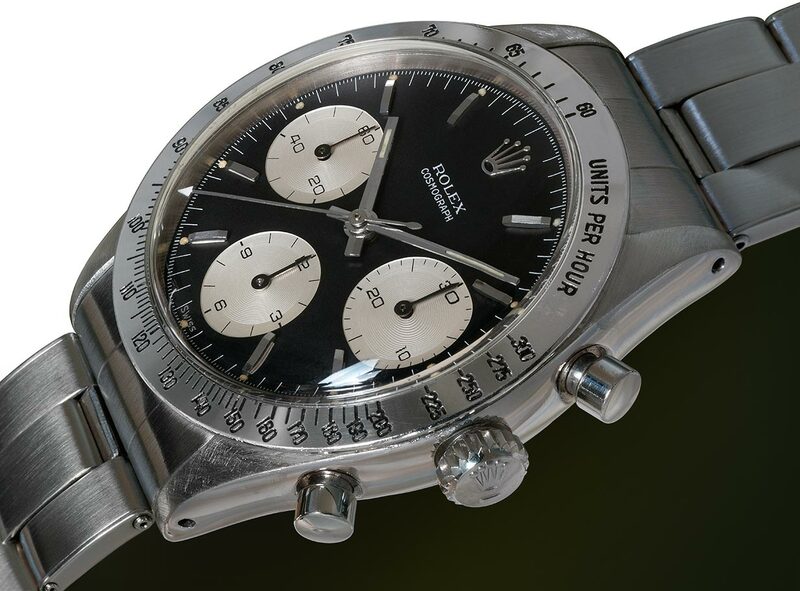 With regards to the earliest models, the engraved tachymeter scale was graduated to 300 units per hour; subsequently, it would feature a 200 units graduation. The dial exhibited contrasting colours: a black field and silvered subsidiary registers, or a silvered field with black subsidiary registers. 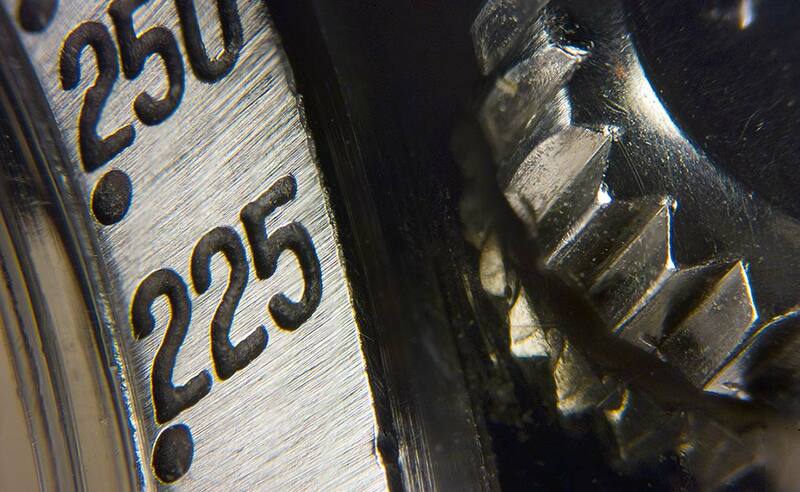 CLOSE-UP PHOTOGRAPH OF THE TACHYMETER SCALE ENGRAVED ON THE BEZEL, WHICH EXHIBITS A SAND-BLAST FINISH. 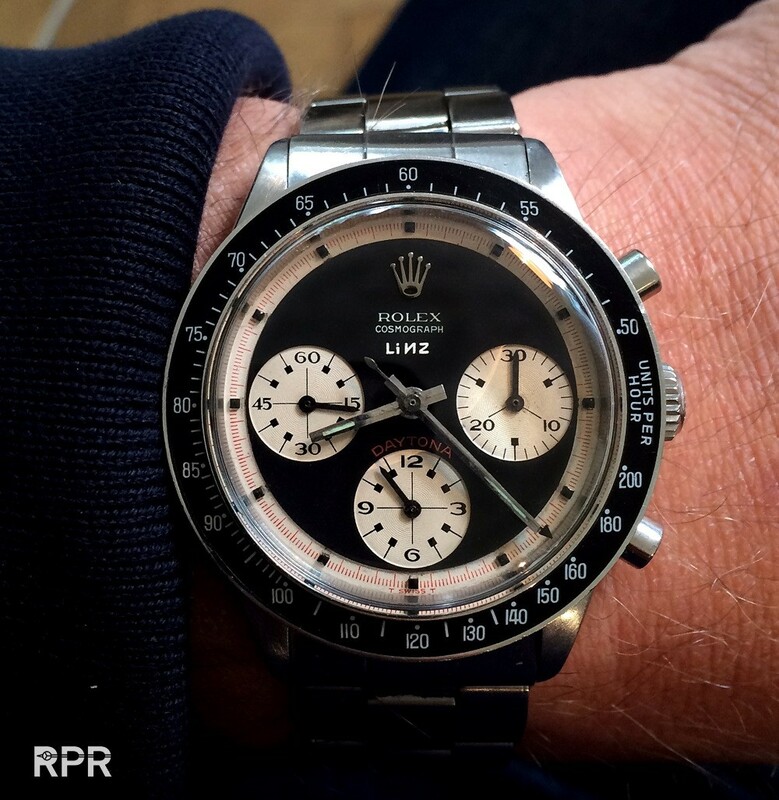 STUNNING 6239 REFERENCE SHOWCASING A SILVERED SOLEIL DIAL WITH CONTRASTING BLACK SUBSIDIARY REGISTERS AND INCORPORATING ORIGINAL HANDS ‘UNUSUALLY’ ENAMELLED IN BLACK. 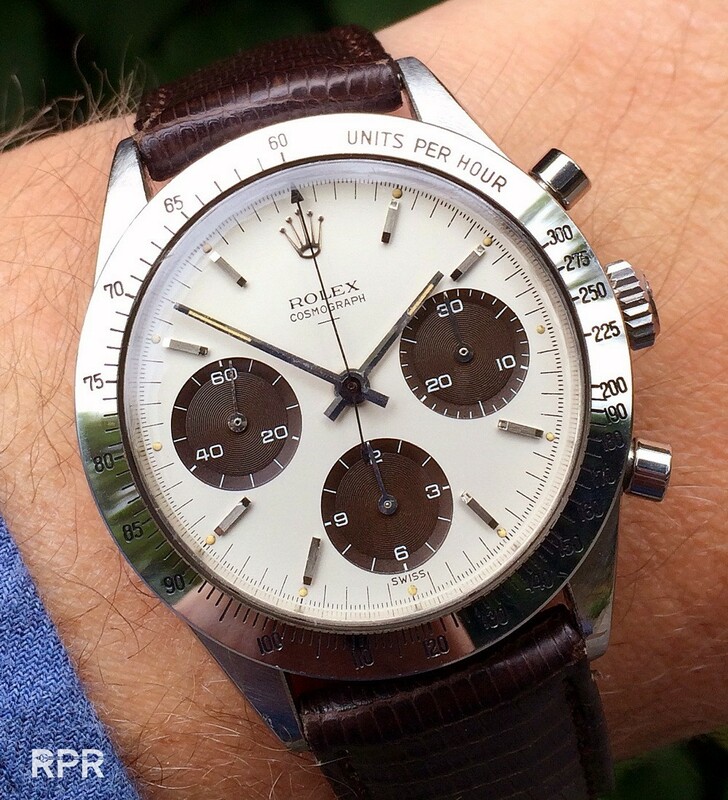 EARLY ‘DAYTONA’ ON THE DIAL AT THIS REF 6239 WITH DOUBLE “T SWISS T”. These models were initially powered by a Valjoux 72B mechanism, which was the same as the one housed in the previous 6238 reference. 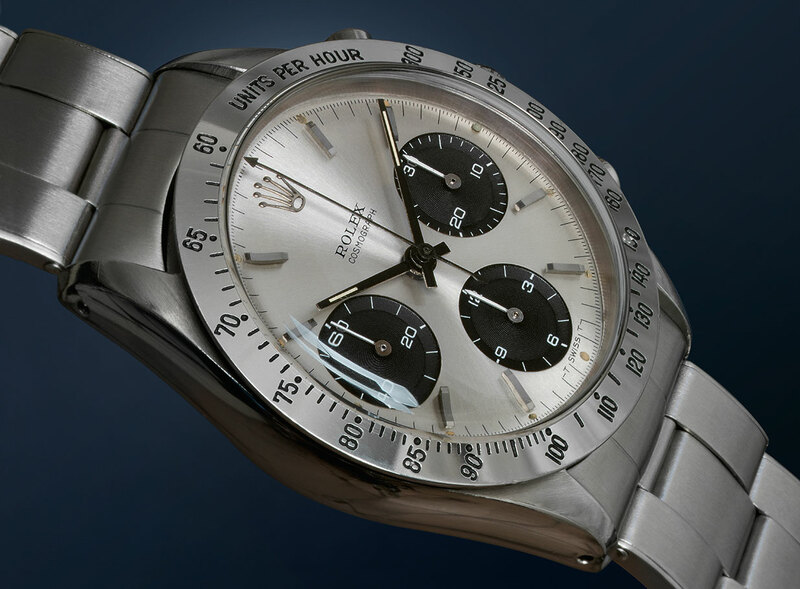 Subsequently, Rolex renamed the caliber, first as 722 and then as 722-1. 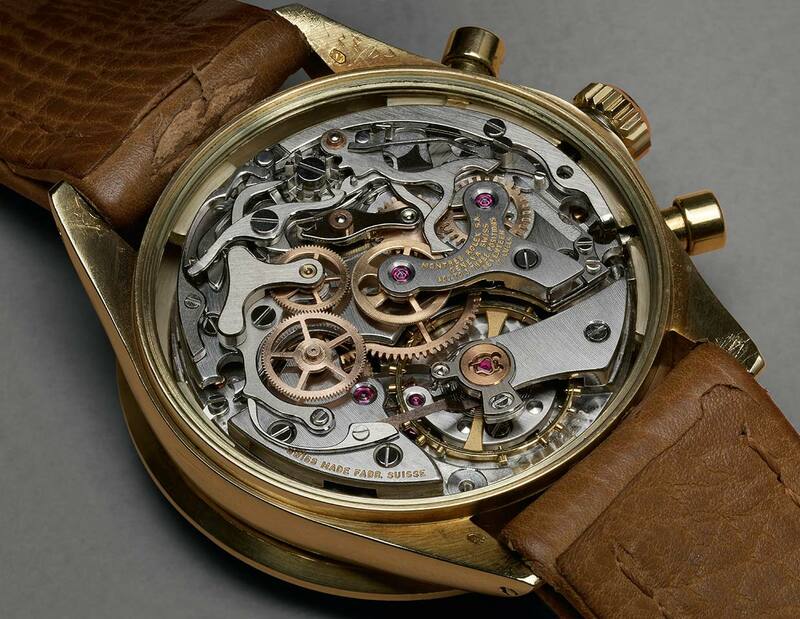 The mechanism was a traditional 13-lines movement, bearing 17 jewels and equipped with a monometallic Breguet hairspring balance, featuring a Kif shock absorber. 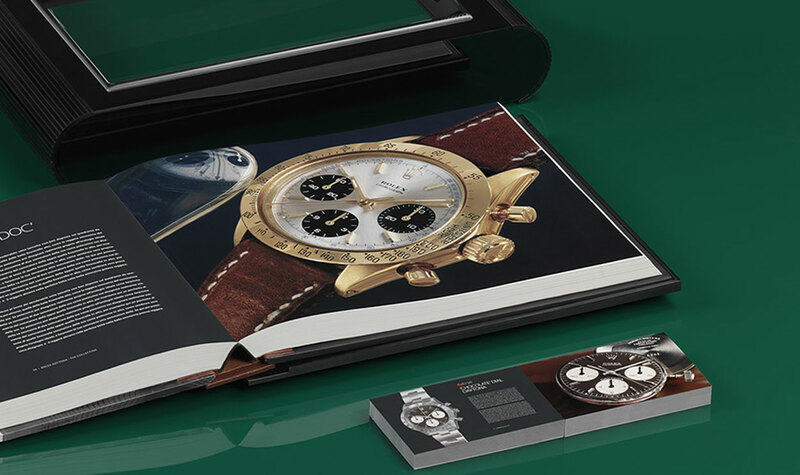 THE ILLUSTRATED GOLD 6241 REFERENCE IS POWERED BY A 722-1 CALIBER, A VALJOUX 72-BASED MECHANISM. 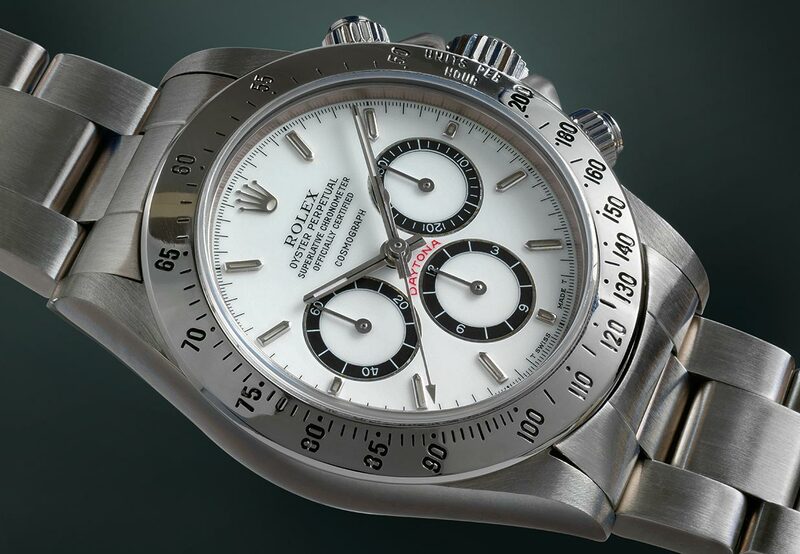 At the beginning of the Seventies, Rolex prepares the introduction of what will be the definitive version of the manual winding Cosmograph Daytona. 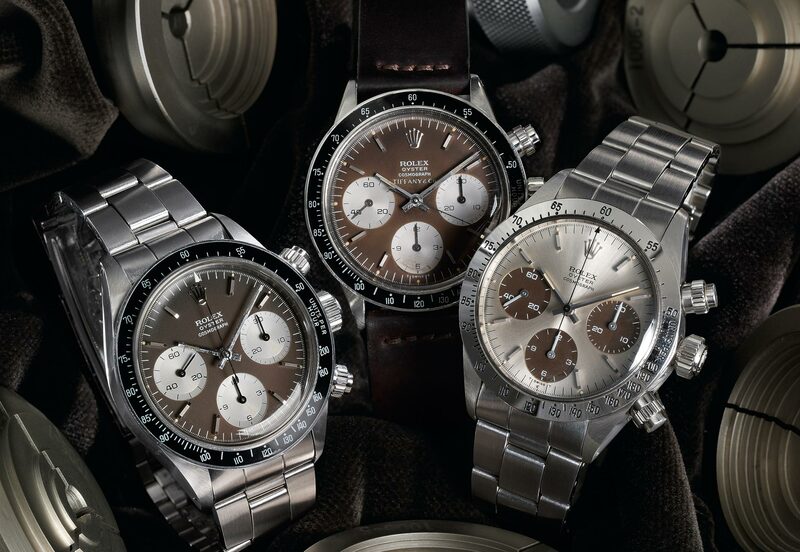 The 6239 reference production was discontinued in 1969, although the marketing would continue throughout the following years. 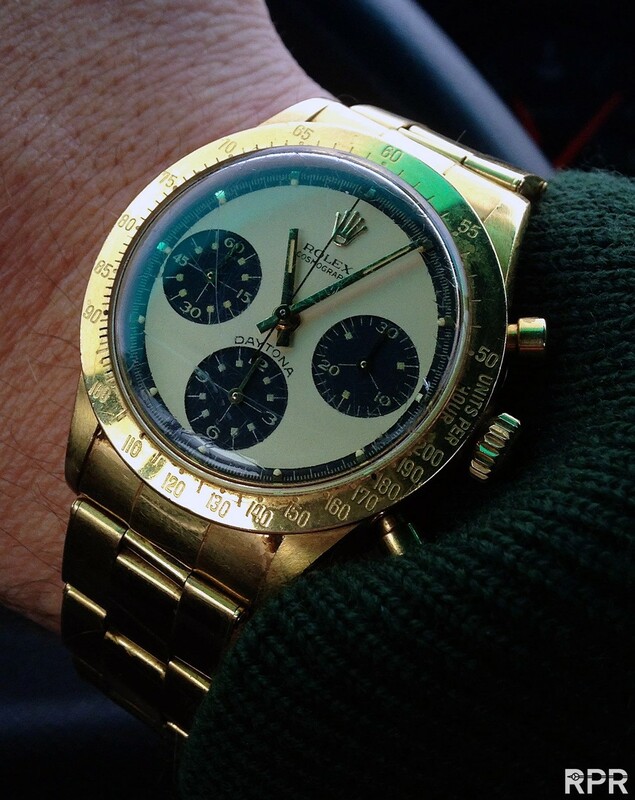 FIRST 18K GOLD PAUL NEWMAN REF 6239 ABOVE. The following 6240 and 6241 references displayed the new Hesalite bezel. The 6239 and 6241 references were then replaced respectively by the 6262 and 6264 references, both powered by the latest calibre 727 mechanism. 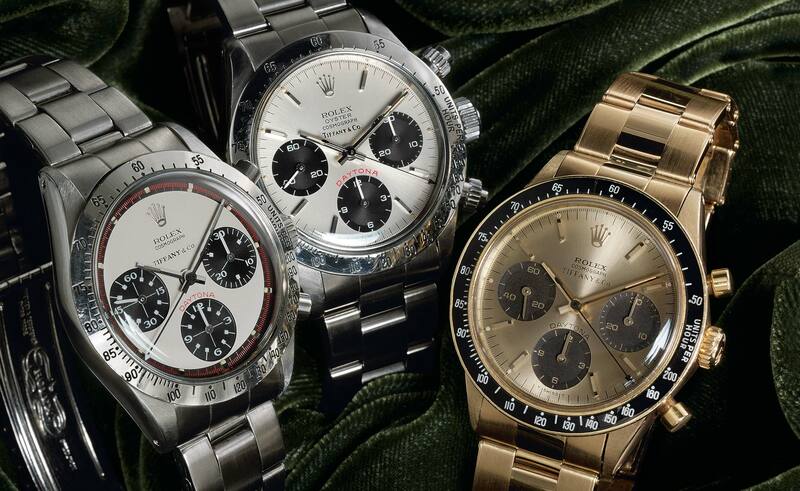 Starting from September 1970, the new 6263 and 6265 references were available from the Rolex retailers. These models were released in either gold or steel. 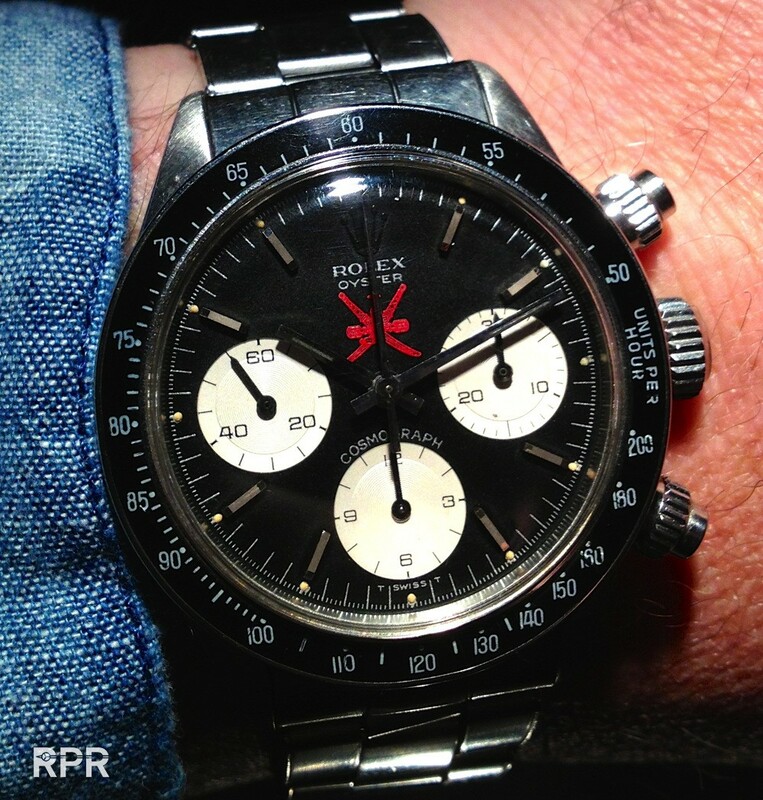 The difference between the two references was substantially shown by the bezel: the first model displayed a black acrylic insert featuring a printed tachymeter, whilst the second one sported a metal bezel. SET OF 3 x “TIFFANY” DAYTONA ABOVE AND SO FAR UNIQUE PAN AM ROLEX OYSTER COSMOGRAPH REF 6263 BELOW. 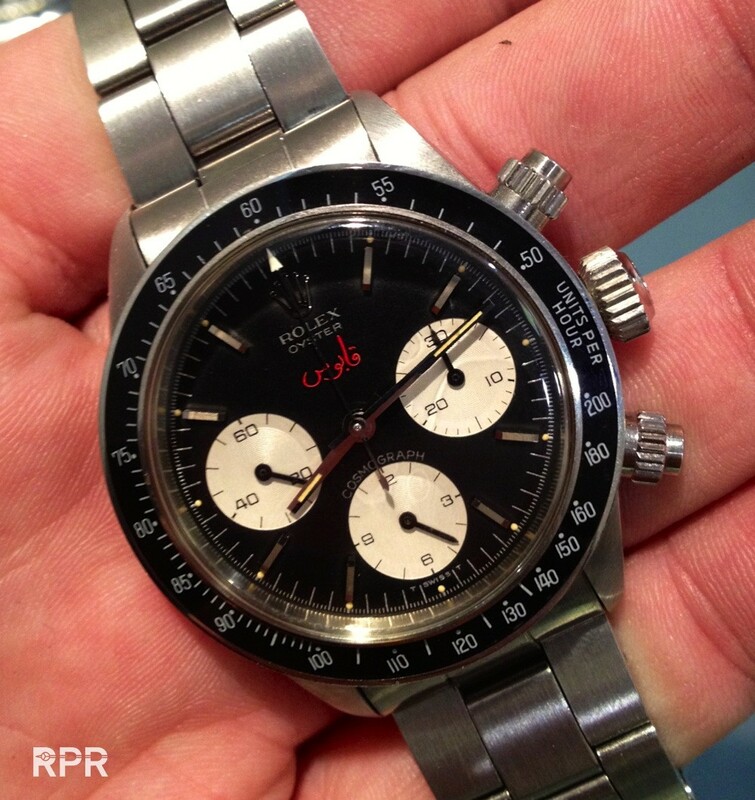 ROLEX PAUL NEWMAN SOLD AND SIGNED BY TEXAN DEALER “LINZ”. ROLEX OYSTER COSMOGRAPH QABOOS REF 6263. ROLEX OYSTER COSMOGRAPH RED OMAN REF 6263. 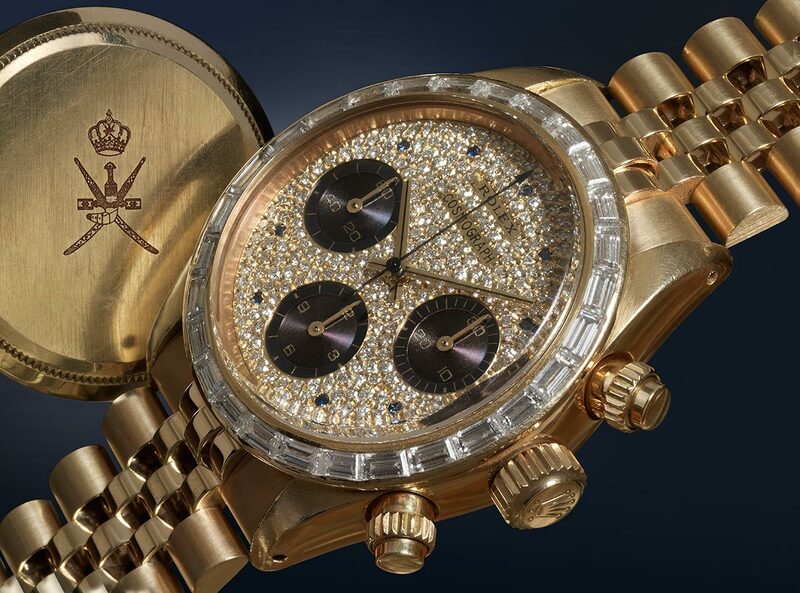 Throughout the Eighties, a very limited series of 6269 and 6270 references would be produced: an 18 carat yellow gold watch case which displays both dial and bezel embellished by a paved-set diamonds and sapphire applied hour markers. 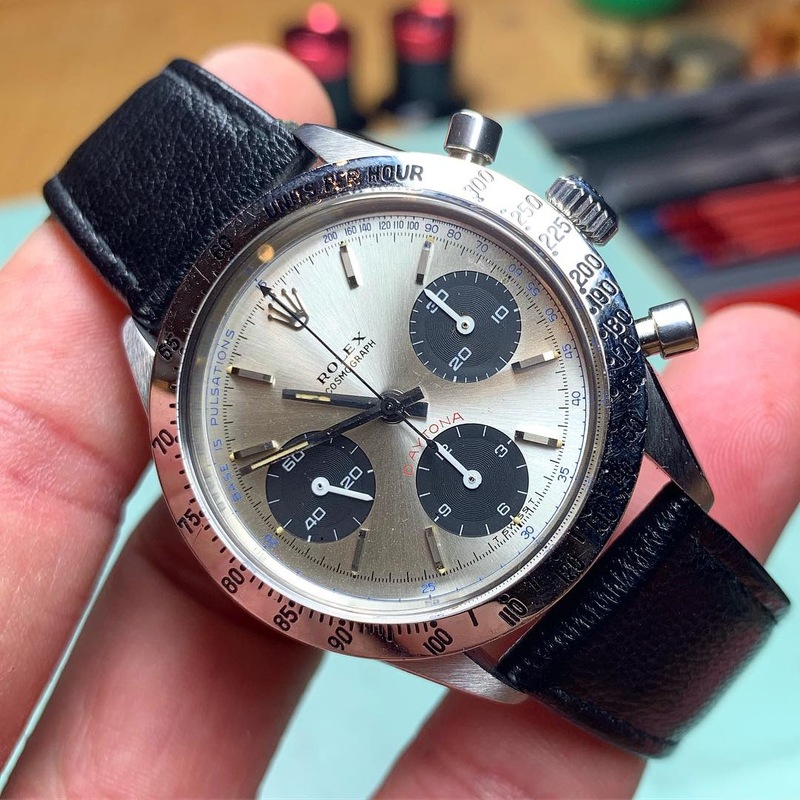 What is surprisingly interesting is how during recent years, these models have steadily gathered a growing interest which snowballed into a frenzy when it was announced that these timepieces were to be discontinued. The Automatics Hit the Market. The watch case of the ‘new’ self winding timepiece is always crafted in three separate parts, whilst the bezel carries the engraved 1.000 base tachymeter scale – the first series featured the 200 graduated scale, whilst the second one a 400 graduated scale. The water resistance of both the Triplock winding crown and pushers is ensured by means of a screw down system. 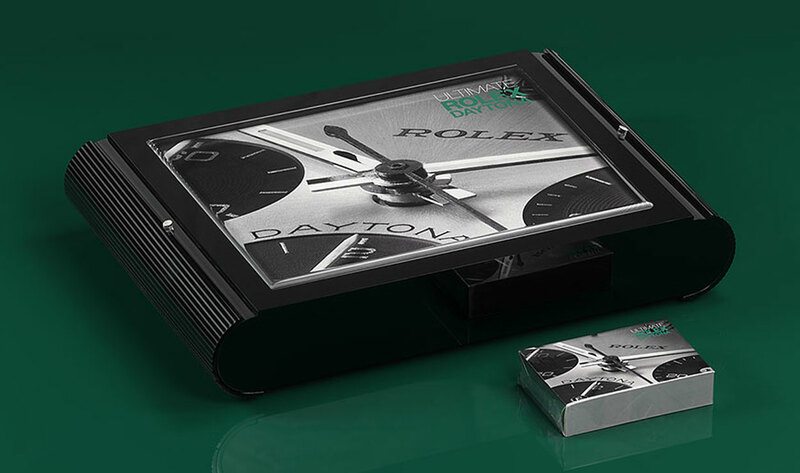 The dial is available in two versions: a white field with white subsidiary registers framed by black chapter rings, and in black with black subsidiary registers featuring white outer tracks. The stick hour indexes and the hands are skeleton-made and luminescent – originally tritium-filled and subsequently replaced by SuperLuminova. The most important innovation of the present 116520 reference lays in its inner heart: the new calibre 4130. The first chronograph mechanism entirely designed, developed and manufactured by Rolex. Other updates concern some imperceptible aesthetics changes such as the positioning of the pushers, the higher alignment of the subsidiary registers, the shape and length of the lugs, the size of the hour indexes and the introduction of the inner flange along the dial perimeter. 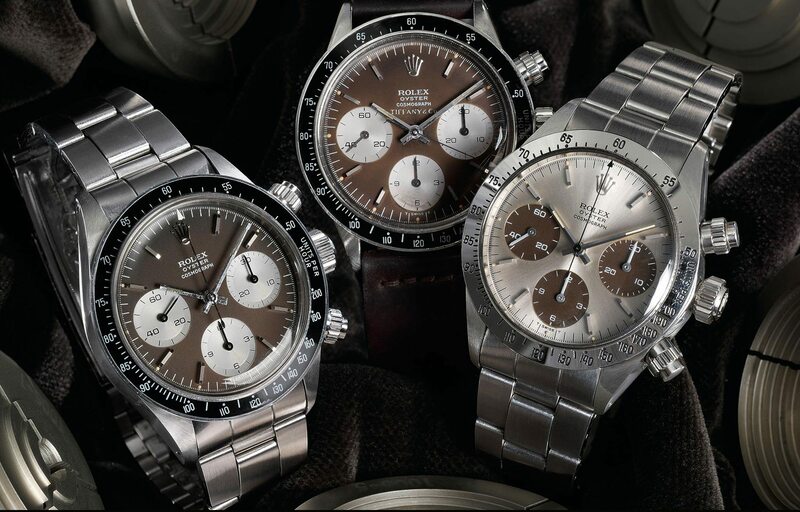 Throughout its many developing stages the Cosmograph Daytona has always preserved its inner essence. It is no coincidence that this timepiece still today represents millions of peoples ‘dream chronograph’, the trophy greatly sought after over all five continents. Its success is without doubt far from being doomed. 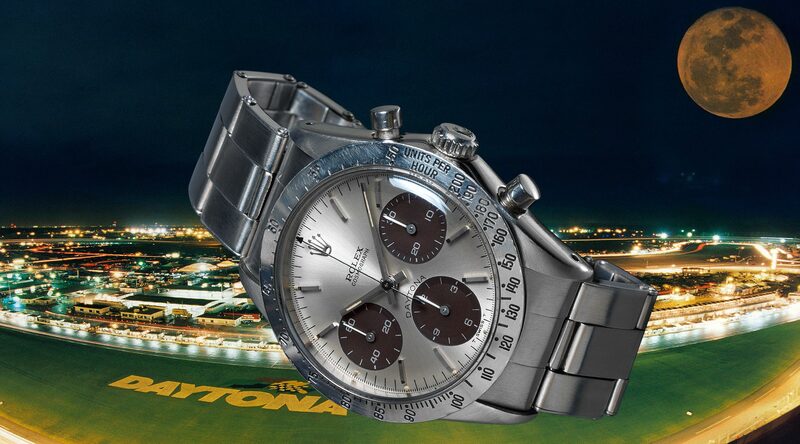 The Daytona is like having a piece of history sitting on your wrist; being instantly recognised it simply ‘stands out’ and is able to convey the typical Rolex style. In conclusion, this is the essence of its success. Photo’s: Fabio Santinelli & Philipp Stahl with RPR watermark. 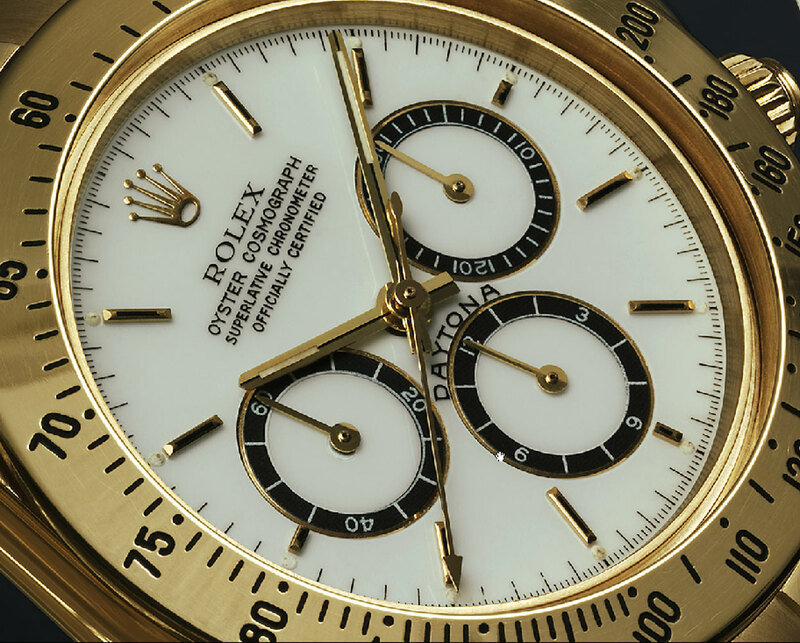 If you enjoyed this story, then head over HERE for some preview pages of the “Ultimate Rolex Daytona”, the outstanding coffee-table tome portraying the history of this iconic chronograph. This post was written by Philipp on January 5, 2016.